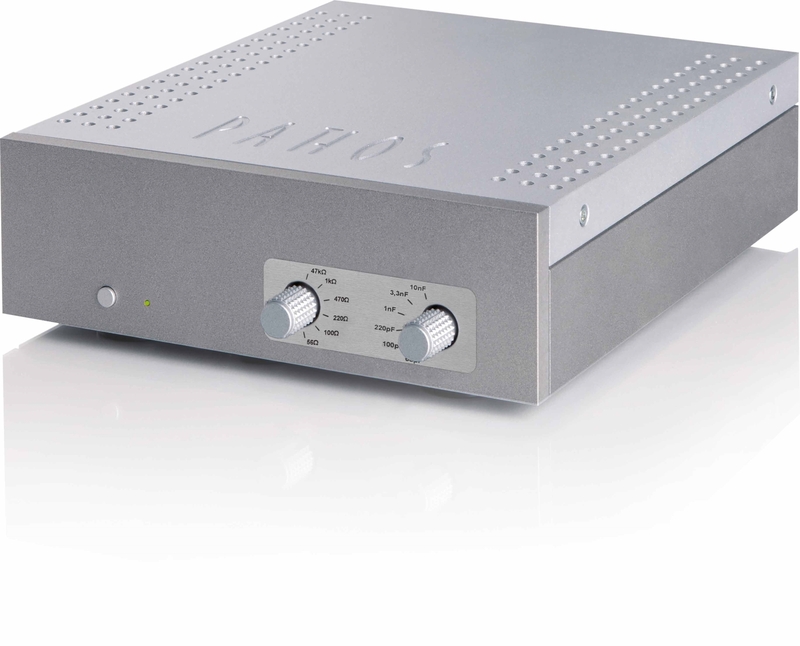 Developed by Pathos engineers, In The Groove is a very successful phono pre-amplifier, already well known on the market and that has been entirely redesigned now. It features high quality integrated circuits, fitting with flexibility to any kind of phono detector. It is an analog solid state product, featuring passive RIAA preamplification made up by two chassis, equipped with multi-tension linear power supply and three settings: impedance and capacity can be set by the front panel, while sensitivity by the rear panel.These settings allow finding out the perfect match to get best performance and make the most of your audio system. A final tune of the sound can be gained from analog source, according to your own musical taste and by changing impedance load value. Aluminum has been used both for panting and for frame, on the upper part can be found our carved logo. It is compact and elegant; this product is an important accessory to your audio system to enjoy at best vinyl quality. In The Groove is available in two finishes and, if combined with Converto EVO and AmpliD, will set up a perfect audio system both for digital and phono source.